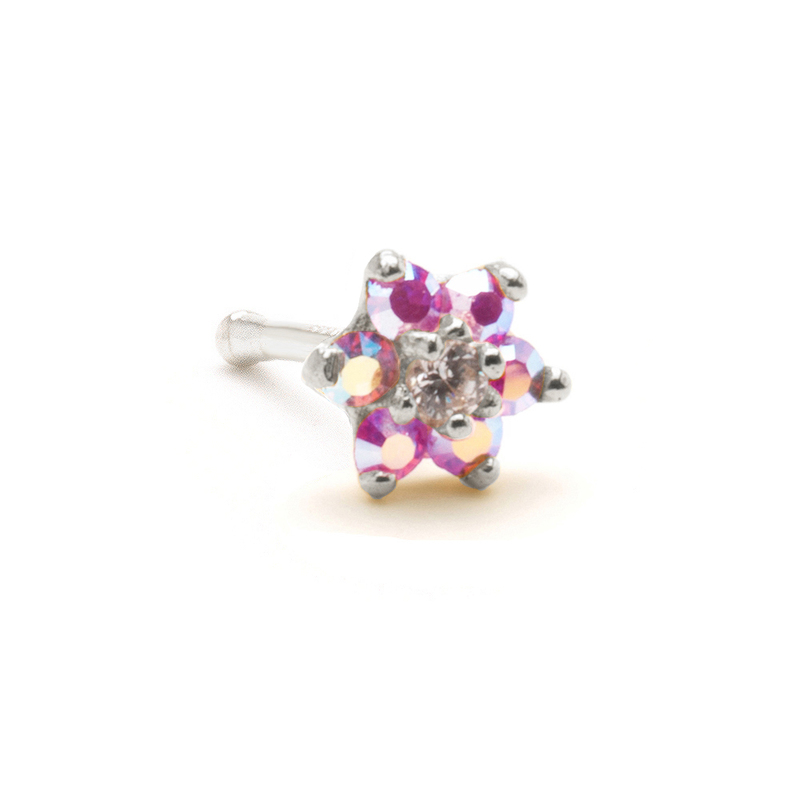 This beautiful flower nose bone has 6 sparkling pink aurora cubic zirconia gemstones with a clear stone in the center. The total design measures 4.5mm. The beauty of this nose stud is very hard to capture with digital photography. The stones will reflect colors when the light hits it.